How Can I Get Prices For Your Products? / How Do I Purchase Your Products? There are a number of ways to obtain pricing for Future Automation’s products and services. As a trade only supplier, in the United Kingdom and United States we sell through a network of approved dealers and installers who we would direct end user enquires towards. In Europe we have professional distributors based in most major countries who are ideally suited to deal with local language enquiries and technical support. If you wish to be put in touch with your nearest approved dealer/distributor or if you wish to apply to become an approved Future Automation dealer, please contact us directly. Will This Product Work With My TV? Yes! 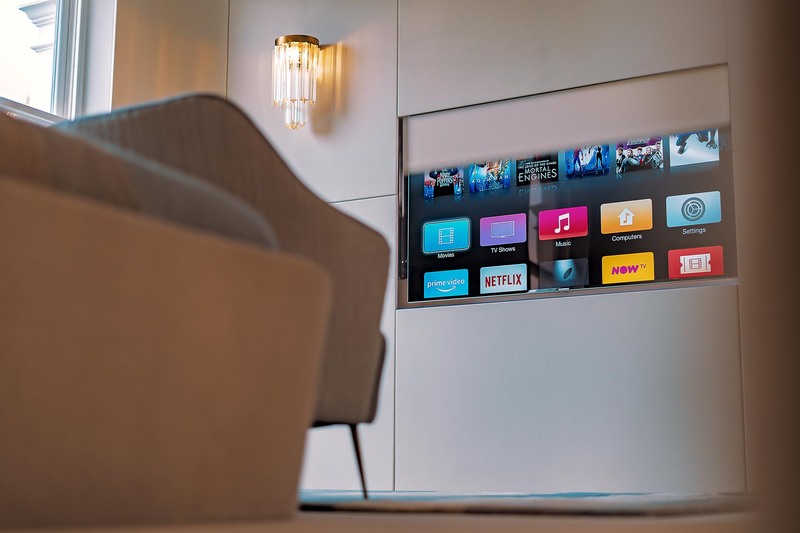 All of Future Automation’s standard products are fully VESA mount compatible (VESA.org) and we also offer custom mounting solutions for certain Bang and Olufsen, and Loewe screens. If you are unsure of the mount required for your screen, or wish to discuss bespoke mounting solutions, please contact us directly. All of our products are fully designed, manufactured and hand built in the United Kingdom & the United States by our expert team of in house designers and product engineers. We are proud to be a member of the Made In Britain campaign (Made in Britain). What Safety Features Do Your Products Have? As our built in safety features vary from product to product, a detailed outline of individual safety features can be found on each products technical specification sheet or in the product instructions. However, all of our automated control boards are compatible with an number of third party safety products, full details be found on our Mechanism Safety Page. Can You Provide CAD For This Product? 2D CAD files are available for download from the website for our standard product ranges. Bespoke products that require design time will have CAD and technical specification sheets produced as part of the design work, this will be sent to the customer for final approval before production begins. Full technical data and installation instructions for our products are publically available on the website and are also included when any product is shipped. If further information is needed we have an in house technical team who can provide help over the phone or by email. How Quickly Can I Get This Product? As all of our products are hand built and many include bespoke features, it is very hard to give standard lead times. For an idea of the current estimated lead time on a product, please contact our sales team directly. We are able to ship to any address in mainland United Kingdom using a next day service (some locations maybe be subject to a 2 day service depending on distance from the nearest depot). We also offer premium services for when an urgent delivery is needed. We can ship to worldwide locations using a range of couriers, for more information please contact us.